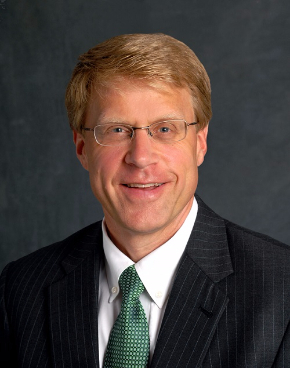 CAMDEN, Maine, May 1, 2017 – The Board of Directors of Camden National Corporation (NASDAQ®: CAC; “Company” or “Camden National”) today announced the appointment of Craig N. Denekas, Chairman and Chief Executive Officer of the Libra Foundation as an independent director of the firm, effective immediately. Currently, Denekas serves as Trustee, Chairman and Chief Executive Officer of the Libra Foundation. Based out of Portland, this private grant-making charitable foundation embraces the sense of proportion and fairness defined by its name, Libra, to fulfill its mission of maintaining a balance and diversity of giving throughout the state of Maine and across all populations. In addition to traditional grant-making that exceeds $175 million, the Foundation takes an innovative approach to its investing by establishing or acquiring several companies such as Pineland Farms of New Gloucester to create sustainable businesses and employment opportunities for Maine citizens. Prior to joining the Libra Foundation in 2001 and serving in multiple leadership positions before his appointment as Chief Executive Officer, Denekas was a director and shareholder at the law firm of Perkins, Thompson in Portland for over a decade. While at the firm, Denekas focused on corporate acquisitions, business law, real estate and commercial lending. He has served as a Trustee and on various board of directors including the Barbara Bush Foundation for Family Literacy out of Florida, the Fisher Charitable Foundation in Maine and was past Chairman of the Board of Trustees of Maine Public Broadcasting. Camden National Corporation (NASDAQ:CAC), founded in 1875 and headquartered in Camden, Maine, is the largest publicly traded bank holding company in Northern New England with $3.9 billion in assets and nearly 650 employees. Camden National Bank, its subsidiary, is a full-service community bank that offers an array of consumer and business financial products and services, accompanied by the latest in digital banking technology to empower customers to bank the way they want. The Bank provides personalized service through a network of 60 banking centers, 76 ATMs, and lending offices in New Hampshire and Massachusetts, all complimented by 24/7 live phone support. Comprehensive wealth management, investment, and financial planning services are delivered by Camden National Wealth Management. To learn more, visit here. Member FDIC.